This jumbo economy box is filled with a variety of wood items for crafting — ideal for classroom settings! 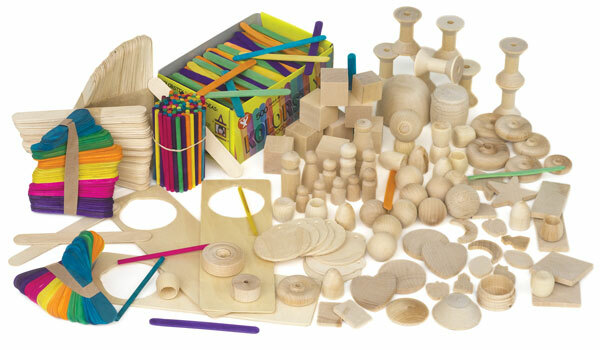 The kit includes pop sticks (regular and jumbo) in assorted colors, craft spoons, wood turnings, and other natural wood shapes. Over 800 pieces in each kit!